the Target model of 1891. Later there was a cadet rifle built on this action. Many of the Navy Frame pistol parts also fit that cadet rile. 1866 & 1870 military production estimated to be less than 13,000. The Army frame Pistol began in with a military contract in 1871 of 5000 units. 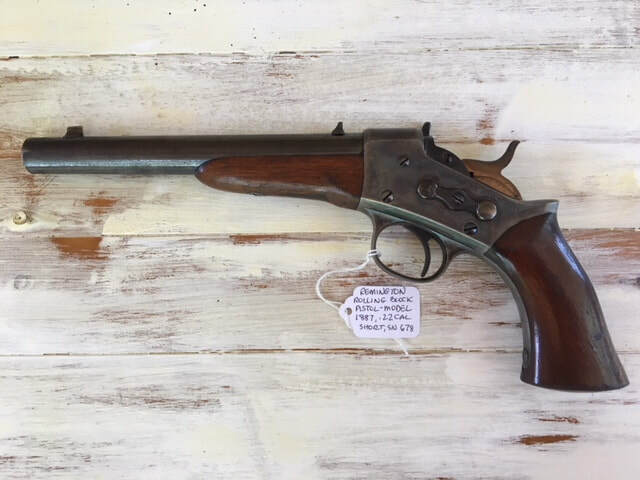 Not unlike its predecessor the 1871 went through a number of commercial model changes until the release the 1901 Target model. This action was the basis for the #2 Sporting Rifle and later the #7 Target Rifle.